As an architect, the kitchen is one of my favorite spaces in a home as it offers plenty of creative design opportunities. When designed well, it offers not only practical means of connecting people but becomes the heart of any home. 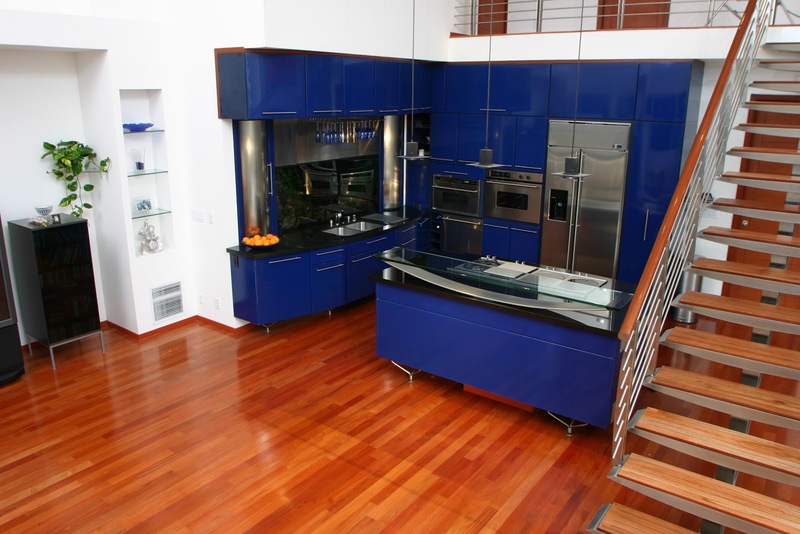 A kitchen should always be designed with the homeowners in mind if it is to achieve being the heart of that home. The layout should facilitate social connection! For this reason, islands with cooktops (if space allows) is the best way to engage with others while preparing a meal. If that island can function as a breakfast countertop, this potential for interaction is even further maximized. And to keep these social spaces clear and clean, I recommend placing the kitchen sink against one of the side walls. Though a small prep sink in the island is always useful. They are most suitable if you have a family member in the house with health issues. KRION is one of my top choices in this category. Aside from the health benefits though, KRION allows flexibility in design: it can shape into any form you desire. This makes it an outstanding material for seamlessly covering large, uniquely shaped counters. 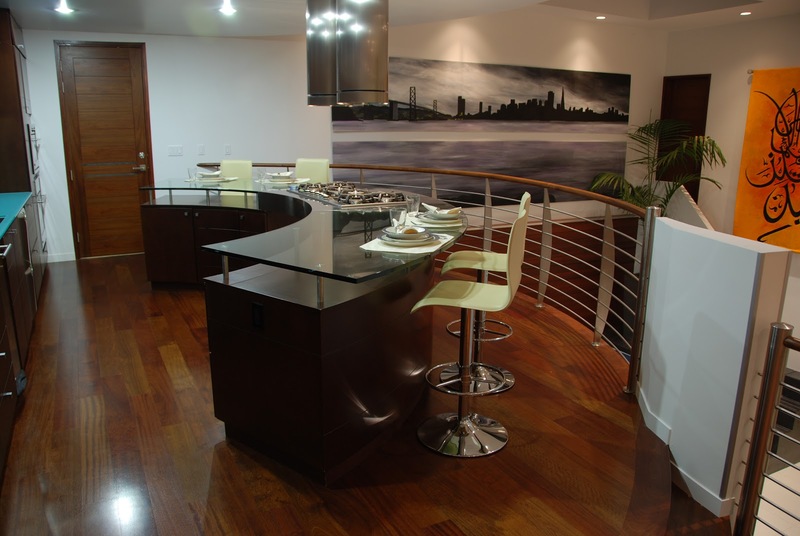 For clients who seek a modern industrial look, my first choice is always stainless steel. Its sleek, trendy, anti-bacterial and can be used in diverse ways. Though surface scratches develop over time, I see this as adding character, rather than an imperfection. Natural stones and granite are classic choices. 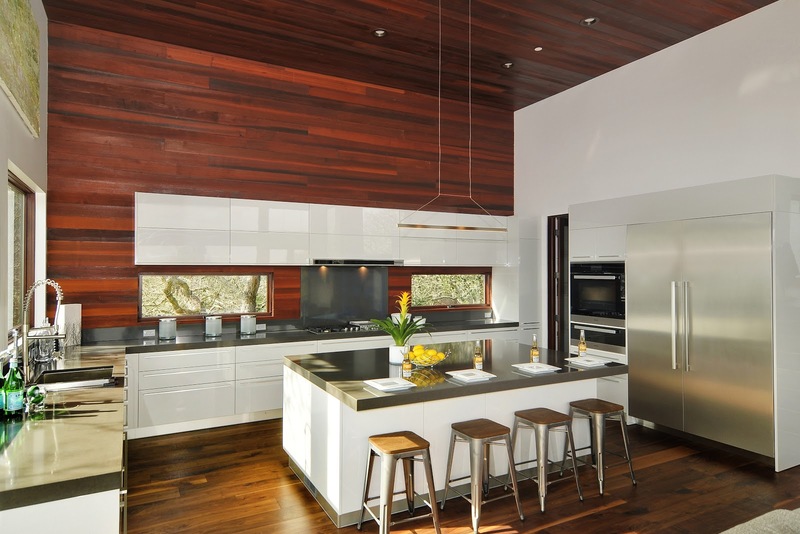 In modern kitchens, they look best when they have linear patterns or single tone slabs. If you are looking for extra shine though, Dekton is a beautifully sleek and contemporary countertop. When done right, automation can add a level of comfort and accessibility that is not only efficient but excites the senses. For example, Blum Servo-Drive automatic openers for top cabinets and drawers are perfect for adding convenience and enabling a smooth design while Countersunk lifting spice cabinets are not only useful but also fascinating to watch. In a few projects, I have built a hidden appliance cabinet into the backsplash. With a simple hand gesture, one can bring down the backsplash to access the appliances. Achieving this transition with a gentle touch is not only convenient, it also creates visual drama. Lighting falls on a spectrum of warm to cool, with warm candlelight set at 1800K, and cool daylight at 7500K. The temperature you choose for your kitchen should be harmonious with the surrounding areas of your home. For modern houses, this is typically in the range of 3000-3500K. Dividing a kitchen into zones allows for lighting to be strategically placed. I recommend creating at least 2 zones: A cooking zone and an eating zone. The lighting in each zone should be individually controllable. ‘Scenes’ refers to the different activities and atmospheres that are desired in your kitchen. For example, large gatherings would require full lighting, but relaxed days at home would call for more pleasant and subdued illumination. Your lighting should be flexible enough to accommodate these various scenes. One of my favorite things about modern kitchens is the sheer choice of cabinet colors and textures. Contrasting boldly colored cabinets against crisp white walls is a design approach I’ve taken many times over the course of my career. It is also possible to mix design elements up by combining sections of cabinets with natural wood finish and a vibrant painted hue. 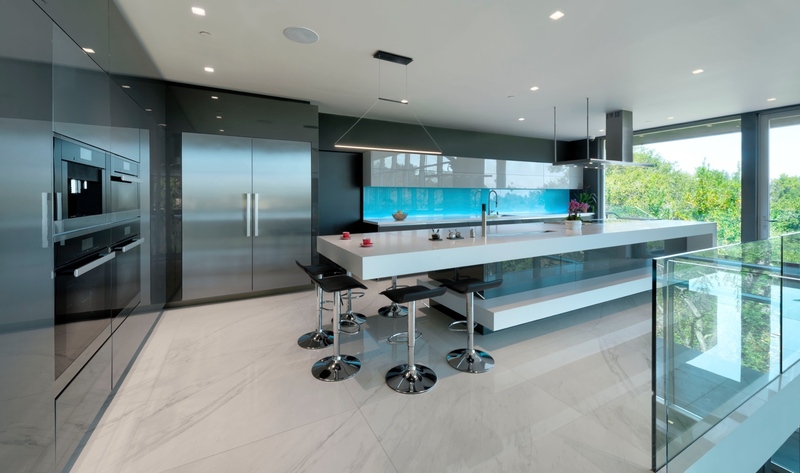 To achieve uniqueness, a modern kitchen should always have something special in its design, something that captures the viewers’ attention. For instance, in one of my projects I used a tropical aquarium as the kitchen’s entire backsplash. Filled with colorful fish, this aquarium worked as living art. By breaking the mold and pursuing an unconventional design choice, you can take your kitchen from simply beautiful, to exceptional! Love this blog and the ideas shared on making your kitchen exceptional. enjoyed reading it! Malika, I love the appliance garage and spice rack. Also which range top is used here? Is this something you can design for a home outside of CA?